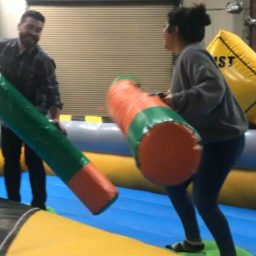 A little friendly competition never hurt anyone with this new inflatable jousting game. 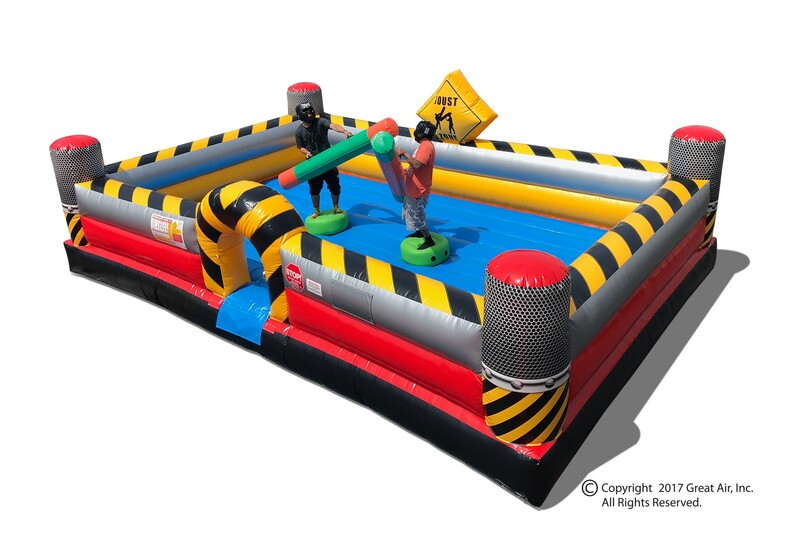 Players can suit up and battle it out on raised inflatable platforms and the first one to knock the other off their platform wins. 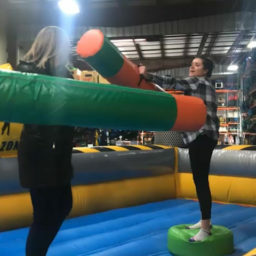 This game is so much fun to watch others play that eventually, everyone will want to get in on the fun. 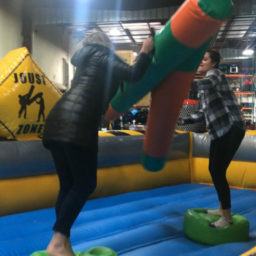 Players can go one on one or guests can form teams and have their teammates battle it out. 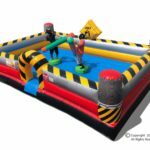 This 2-man jousting set is perfect to add a little extra fun to any corporate event, launch party, school fundraiser, or family reunion. 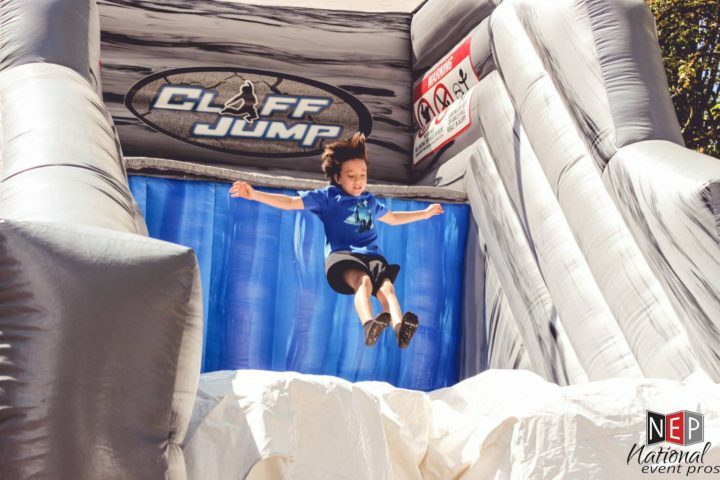 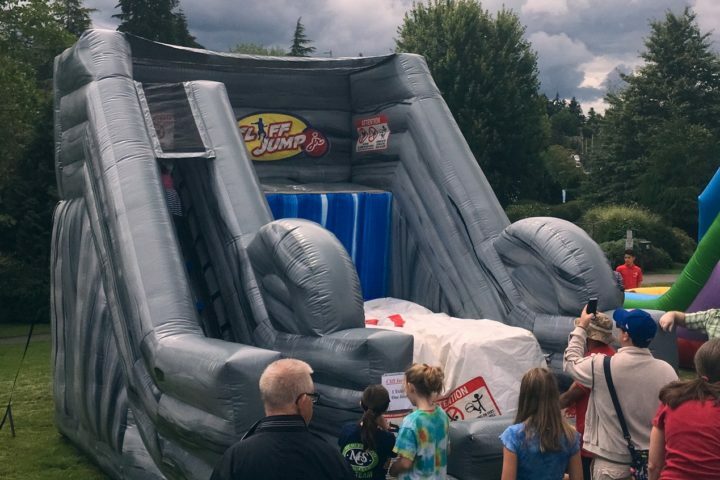 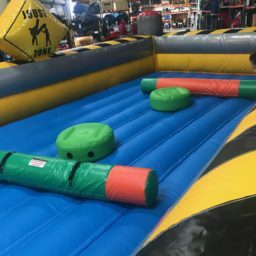 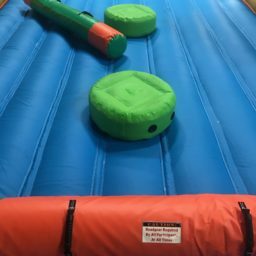 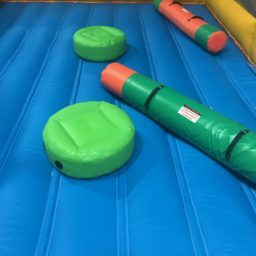 For more interactive inflatable fun at your next event check out our full rental catalog for exciting items like our Defender Dome Dodgeball Arena, Bumper Ball Arena, Hampster Balls, or our Toxic Leaps N’ Bounds set.